Rediff.com » Business » The incredible story of Lijjat Papad! 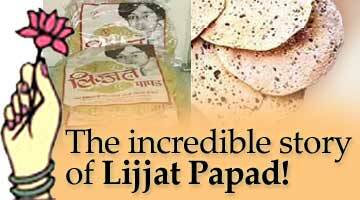 The incredible story of Lijjat Papad! Everyone enjoys 'rags to riches' stories and everyone likes tales of stupendous success achieved through sheer determination. The story of Shri Mahila Griha Udyog Lijjat Papad is all that and much more. Today, Lijjat is more than just a household name for 'papad' (India's most popular crispy bread). Started with a modest loan of Rs 80, the cooperative now has annual sales exceeding Rs 301 crore (Rs 3.1 billion). What's more stunning than its stupendous success is its striking simplicity. And perhaps that is the most interesting lesson managers can pick up from Shri Mahila Griha Udyog Lijjat Papad. Sticking to its core values for the past forty years, Lijjat has ensured that every process runs smoothly, members earn a comfortable profit, agents get their due share, consumers get the assurance of quality at a good price, and society benefits from its donations to various causes. How has all this been possible? Its story shows how an organisation can infuse Gandhian simplicity in all its activities. Here we look at its distribution cycle. Every morning a group of women goes to the Lijjat branch to knead dough, which is then collected by other women who roll it into papads. When these women come in to collect the dough, they also give in the previous day's production, which is tested for quality. Yet another team packs the tested papads. Every member gets her share of vanai (rolling charge) every day for the work she does and this is possible only because the rest of the system is geared to support it. Jyoti Naik, President, Shri Mahila Griha Udyog Lijjat Papad explains how the system works. The entire cycle starts with a simple recruitment process. Any woman who pledges to adopt the institution's values and who has respect for quality can become a member and co-owner of the organisation. In addition to that, those involved in the rolling of the papads also need to have a clean house and space to dry the papads they roll every day. Those who do not have this facility can take up any other responsibilities, like kneading dough or packaging or testing for quality. Packed papads are sealed into a box (each box holds 13.6 kg) and the production from each centre is transported to the depot for that area. Mumbai alone has sixteen branches and six depots. Each depot stocks production from the nearby three to four branches -- roughly about 400 boxes. In some smaller towns or villages, the branch itself serves as the depot. The depots are our storage areas as well as pick up points for distributors. Our distributors pick up the quantity of papad they require and pay cash on delivery because we pay our bens (members are called bens, or sisters) every day. Since we have an estimate of the quantity each distributor takes, we produce accordingly. This ensures that we neither stock inventory nor pay heavily for storage. We have about 32 distributors in Mumbai. Each distributor picks up an average of 100 boxes per day from the depot. This is where our job ends. We are not involved in how and where a distributor delivers as long as he stays within the area we have marked for him. Generally each distributor has his three-wheeler and about eight to ten salesmen to deliver to retail outlets within his territory. To select a distributor, we first give an advertisement in newspapers for the areas we have marked. Members from our marketing division personally go and check the godown facilities and only on their approval do we appoint distributors. A distributor pays us Rs150,000 as deposit. We make it clear to them that they must pay on delivery if they want our distributorship. This system is followed all over India and it works well for us. When we discover that there is demand in a particular place, we open a new branch, like the recently opened one in Jammu and Kashmir. Whether or not we have a centre in an area, our goods reach there. For example, we do not have any centre in Goa, but we have appointed a distributor for that area to ensure that Lijjat papads reach Goa. Our communication with distributors is regular through monthly meetings where we discuss their problems and also the issues that we may have about quality, price, reach, etc. We do not have individual door-to-door salesmen or women selling from homes -- only the appointed distributor for the area. The same system is followed for other products, but we may have different distributors and depots for different products. Our exports alone account for Rs 10 crore (Rs 100 million). We are not directly involved in exporting, but recognised professional merchant exporters (who also export other food products) place an export order. Only on receiving the full advance through a cheque do we begin production. Because all exports are done from Mumbai, the supply also comes from here. Export production is of the same quality as daily production. In fact, we send some of the daily production for export. Again with exporters, our responsibility ends with delivery. They are, both, expected and encouraged to check the goods on collection. After that, where and how they export is their call. At present, 30 per cent to 35 per cent of the production of Lijjat Papad is being exported, mainly to countries like the United States, the United Kingdom, the Middle East, Singapore, Hong Kong and Holland. We have accountants in every branch and every centre to maintain daily accounts. Profit (or loss, if any) is shared among all the members of that branch. We have a committee of 21 that decides how the profits are to be distributed. We generally buy gold coins -- 5gm or 10 gm, depending on the profit. Everyone gets an equal share of profit, irrespective of who does what work, irrespective of seniority or responsibility. Even a ben who has recently joined gets the same share as others who have been with us longer. Each branch calculates its profit and divides it equally among all its members. Mumbai has 12,000 members, the rest of Maharashtra has 22,000, and Gujarat has between 5,000 and 7,000 members. In two words -- decentralisation works. We, at Lijjat, have never shied away from sharing power in all our activities. The Sarvodaya philosophy has always been our ideal. All sister members of the institution are the owners. As I mentioned earlier, all profit or loss is shared. Only we have the authority to decide the manner in which profit or loss should be apportioned among ourselves. The committee of 21 members manages the affairs of the institution. There are also Sanchalikas, or supervisors, for each centre to look after the daily affairs of a centre. But the work of the institution is such that each and every member can take any initiative or any decision. At the same time, each and every member has the veto power. All decisions, major or minor, are based on consensus among members. Any single member's objection can nullify a decision. Another important fact about the institution is that no male can become a member and no male employee whether working or honorary or on salary basis has voting rights. Other than following this philosophy for our institutional set up, we have try to avoid the usual 'management nightmares.' For instance, production is carried out not in one central location but in hundreds and thousands of individual homes. The branch system ensures that every activity happens within its own ambit. Testing for quality and packaging are done at every branch. Imagine if all the production from all over India were to be gathered at one central office where it would be checked for quality, packed, transported to various depots and distributors, if collection were to be centralised and if distribution of vanai and profits too were centralised. Wouldn't it be a logistical nightmare? Our solution is simple. Let the branch be responsible for all activities from production to packaging to collection and distribution of vanai and profit for its particular geographical region. In following this simple system, we don't solve management problems, but avoid them. Certain activities, however, are centralised. For one, all raw materials are purchased in Mumbai and then distributed to the 62 branches to ensure consistent quality of Lijjat Papad. Given the vastness of India, every region produces different quality of urad, rice, spices, et cetera. If procured locally, the final product would never be consistent in quality and Lijjat would have no USP (unique selling proposition) in the market. The other centralised process is the grinding of flour. We own two grinding mills, one in Vashi (Navi Mumbai) and one in Nashik (in Maharashtra). Since the raw material is purchased in Mumbai, grinding the flour at our own mills helps reduce costs. Pricing of the products is also done at the head office. Lijjat papads all over India cost Rs 16.25 a kg. This price factors in the cost of raw materials, transport, taxes, distributors commission, profit percentage and so on. Every member who joins in pledges, ". . . we will make all-round effort to ensure that the bens get real fruit of their labour and we will not allow to happen any type of economic loss to the Institution knowingly, unknowingly, directly or indirectly. We are aware that it is one of the very important traditions of our Institution that neither sister-member nor employees take away wrongfully any money or material from the Institution. Those who take away money or materials wrongfully from the Institution are either beggars receiving alms from the bens or thugs and robbers extricating bread from a sister's mouth." Among others, the chief value that holds the institution firmly is a sense of self-dignity and respect. We discourage any kind of class distinction and do not declare ourselves as an organisation for poor or needy women. Our thinking is straight. Ours is a business like any other even if the structure is different. There is no place for feelings of pity, sympathy or charity among members. We also do not accept donation or charity of any kind, even if voluntarily offered. I do believe that this has helped the organisation retain independence and brought quick growth. It has given us a clear vision of the path of progress. Maintaining proper accounts has always been on our agenda. When we started out, Chhagan Bapa, our mentor had advised us to maintain accounts daily. Even today, every branch closes the account book every day. We do not want to get into monetary hassles because of badly managed accounts. 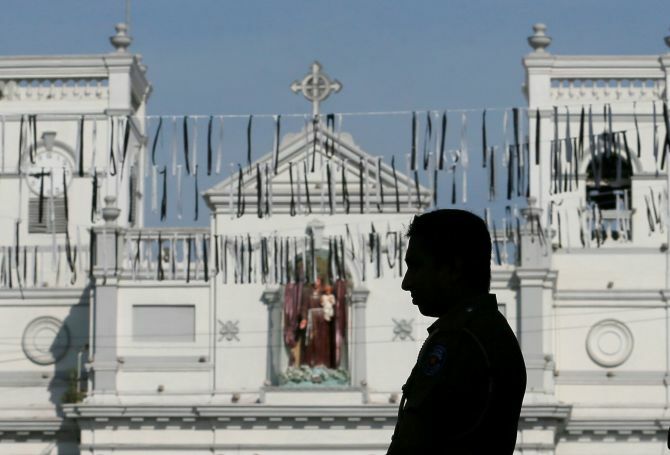 There is no place for prejudice on the basis of caste or religion, and democracy in its truest form is encouraged. Following these values ensures that we are run and perceived as a serious business, not a charity organisation. This cooperative organisation was started by seven women on a terrace of a building in Girgaum in Mumbai. Although only one of those seven survives today, the organisation has not given up on the ideals they started with. Every member at Lijjat works with a sense of pride in her work. And this pride comes not only from the fact that we produce a good quality product but also because we have stuck to our core values. That, in turn has led to a sense of shared destiny in our institution. Every woman earns according to the labour she puts in but the profits we make as a collective effort are shared equally. In spirit, we are a nation unto ourselves, almost like a mini-India. 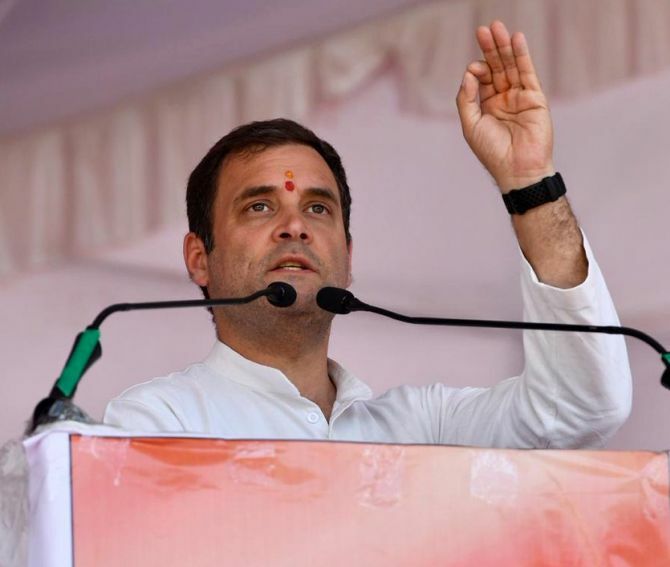 We share the same values, are a democratic set up and, like India, have members from every community, every religion, every language within our fold. We work together and dream together for a better tomorrow. Our beginnings were modest. Seven women with no special skills but a strong determination to earn dignity as individuals went ahead to make a successful business, doing what they knew best -- rolling papads. They leveraged their basic skill and turned it into a weapon because they believed in themselves and in each other. And that's how we function even today. We believe in each other, in each other's ability and commitment to take the institution towards progress. It is this belief that has been the basis of our business model as well. We understand the family, time and social pressures women face every day. What we have done is simply to turn these into an advantage and not an excuse. It serves everyone. Lijjat helps these women who are not encouraged to work outside their homes, to contribute to the family income. Our bens take dough home and roll them into papads when they are free from their domestic chores. At the same time it is not prudent for the organisation to invest in office property for so many members. The perfect fit for both is using the members' homes for the rolling and drying of papads. No additional overhead costs, no investment either. Valuing people and under-standing their problems has created for Lijjat a sound and sustainable business model. However, though it would make business sense to adopt modern technology for mass production or use machines for packaging, etc, we haven't done so because it would defeat the very purpose of our existence, which is to provide a source of livelihood and dignity to women through self-employment. In addition, we have one vehicle per branch, which, at fixed times, brings the bens and rolled papads to the branch and also drops them back. This is done for all the bens -- those who mix the dough, do the vanai (rolling), testing, packaging, etc. We proudly claim 'consistently good quality' to be our USP. From the moment a new member joins, she is repeatedly told to make quality her mantra. At the training session, bens are taught to make the 'perfect' Lijjat papad. And every member has absorbed the concept totally. It is evident in the fact that even without modern machines, every consumer of Lijjat papad, wherever she is, gets the same consistent quality of papad. How? Because every ben rolls the papad to the same specification and every lot of papad goes through testing. If we find any ben becoming careless about quality, we do not tolerate it. We give her a warning, then the option to take up any other work like packaging, testing, etc. and if she still displays a lack of concern for quality, we ask her to leave the organisation. Out of one kg dough, we must get at least 800 gm (accounting for loss due to moisture, etc), otherwise we cut pay. We get papads for testing from all centres everyday and if we find any deviation from our quality, for example, if the salt is less or more, etc, we immediately intimate that particular centre to destroy the entire lot, even if amounts to a million rupees worth of production. Out of this strong belief in quality delivered at an affordable price comes our act of ignoring competitors. Lots of companies selling papads have come and gone. We don't consider them, we only do our own thing. We do not take into consideration what the competition is doing. We know that if our quality is good, consumers will buy. Our quality does not differ whether it is for exports or for the local market. There is just one quality. And that's good quality. Again and again and again!